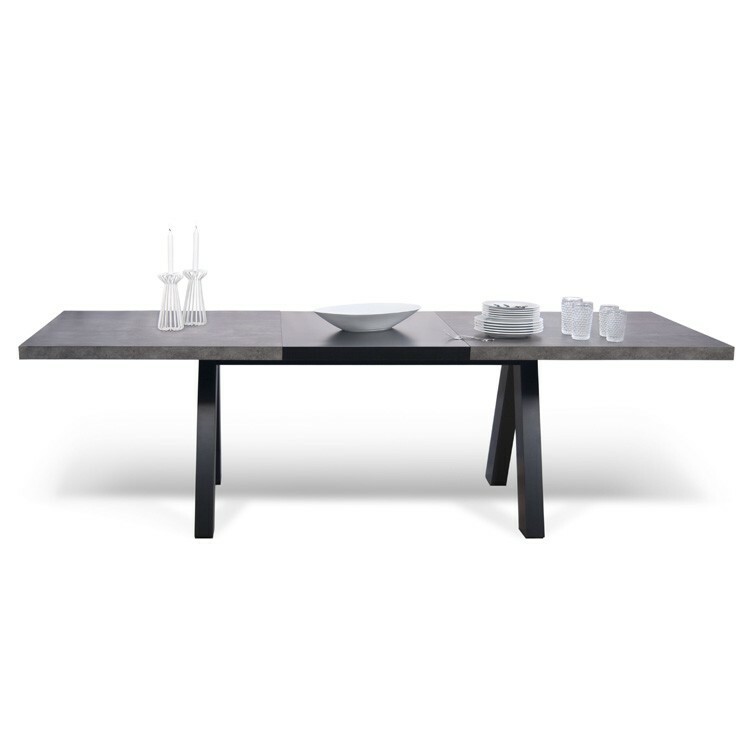 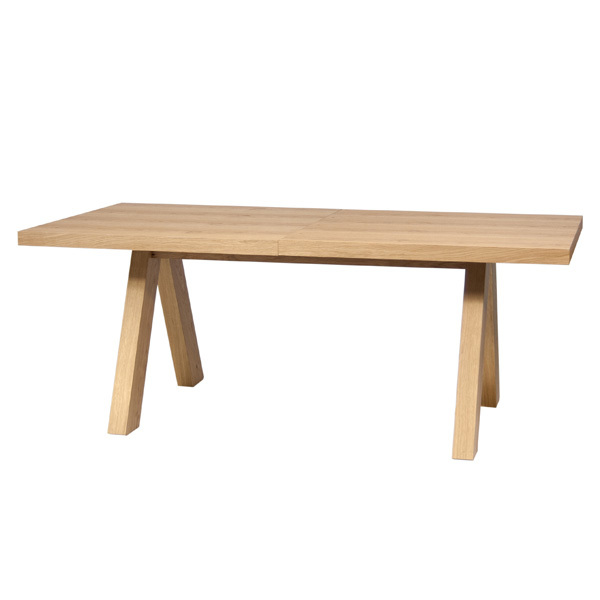 The Apex table has a design reduced to its very essential elements with a shape inspired by traditional trestle tables. 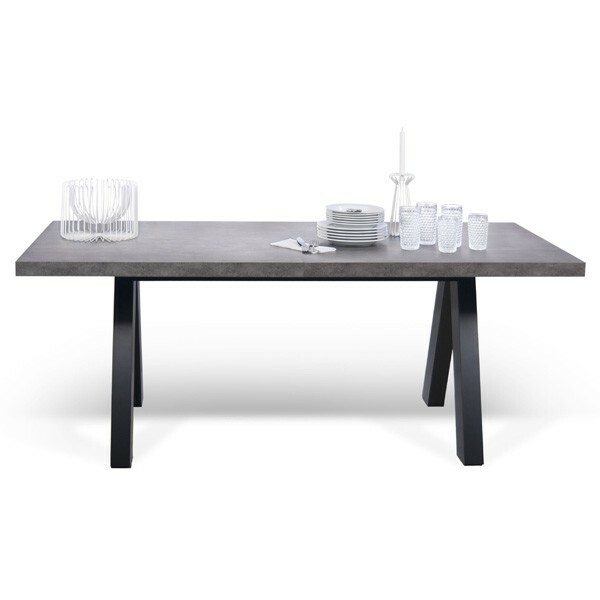 Strong but lightweight, Apex has a wood and melamine top, available with an oak or concrete look finish. 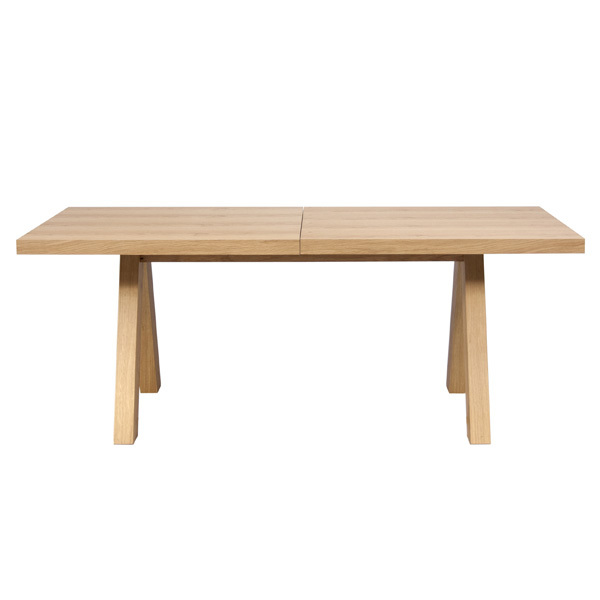 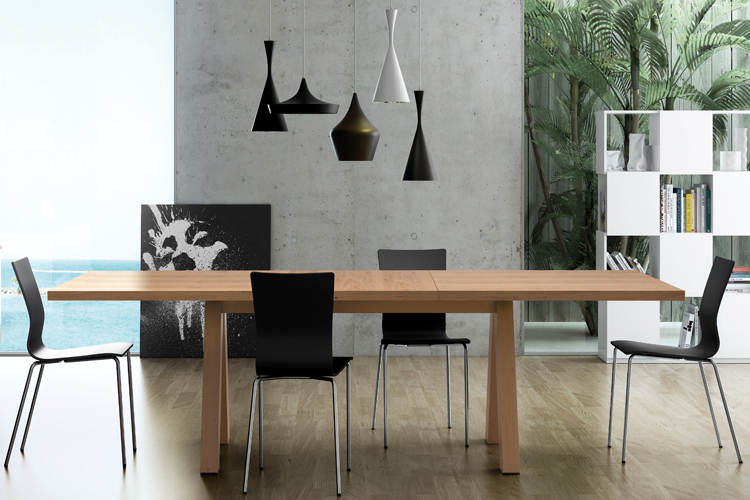 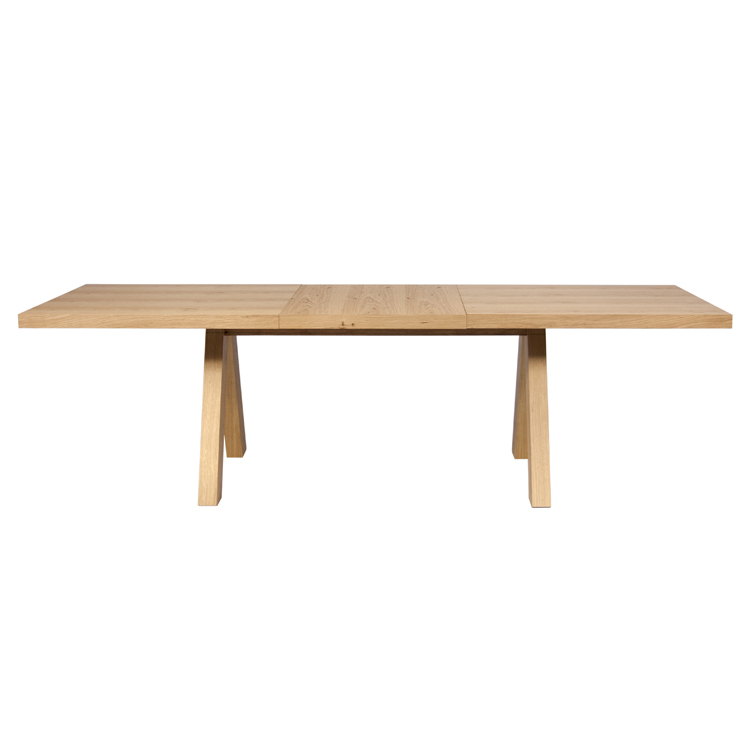 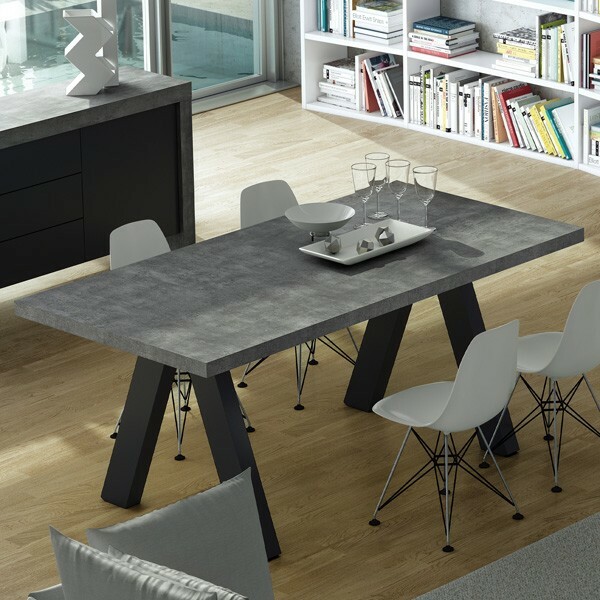 The oak version has a matching central extension leaf and legs, the concrete finish version has a black extension and legs.